I have recently gotten into juicing - something I had dabbled in before but now I am fully invested! Every morning I pick carrots, spinach, celery & chard (this time I also added some nasturtium flowers) from the garden to go alongside apples, oranges, grapes and blueberries. An eclectic mix of fruits and veggies which varies depending on what is available but always full of zingy goodness! I do eat fruit & veg on a daily basis but by juicing them I can consume more raw nutrients without even thinking about it and in turn become healthier! I've only been juicing daily for a little over a week now but already I can see a visible improvement in my skin quality (something I have long term issues with) so I am really happy! I am on the path to becoming a healthier being so do let me know your healthy tips and tricks if you have any, it's fun to swap ideas. I hope you are all having a great Sunday! RESTEEMED!! 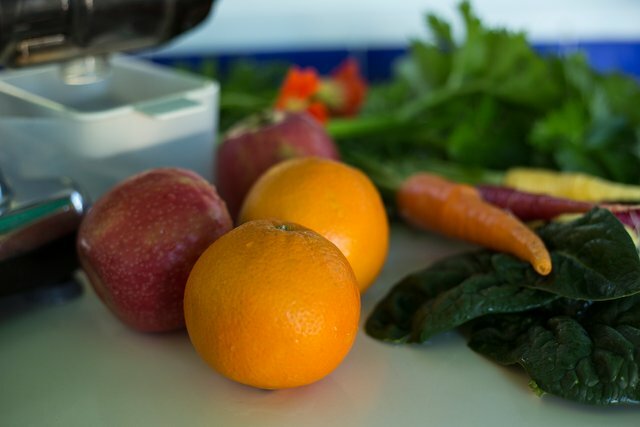 Excellent to hear you are juicing - it is a real game changer in the field of upping your nutritional intake. It really is a big improvement. Thanks for the positive feedback @sallybeth23 - nice to talk about these things with people that share my enthusiasm! FANTASTIC - juicing is the most amazing and easy way of getting lots of raw fruit and veg inside us! As the wonderful Sadhguru once said: If you are eating to live better... it is better to eat live food - raw! - once we cook food so much is lost in most cases. There are some rare vegetables and fruits that actually benefit from cooking but mostly raw is the best way! Totally - cooked veg is nice and all but if I keep my raw intake going then I'll have a perfect balance! Hola, estoy totalmente de acuerdo contigo al convertir las frutas y verduras en jugo se aprovechan mas nutrientes pues también consumes mas cantidad, solo hay que tener en cuenta en que sean compatibles entre sí. Saludos. Claro que si! Menos mal que casi todas las frutas son compatibles entre si... salvo algunos! Saludos amiga, espero que todo te vaya bien! @gardeningchef purchased a 57.66% vote from @promobot on this post. I heard something before about juicing and that it changes the sugars in a non healthy way...something along those lines, is there any truth to that? Not that I am aware of - can you send me a link to this info? 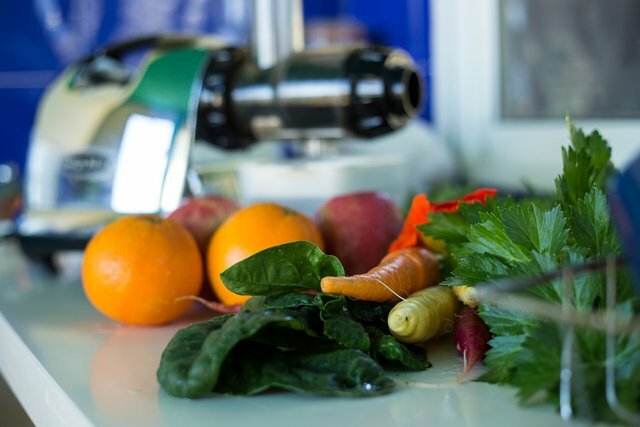 I use a gentle macerating juicer so it maintains the nutritional quality of the fruit and veg that I juice. Juicing sure does become addictive doesn’t it! I love it, I love lots of carrot ginger and lemon! Apple lemon ginger mint is a nice hot day one for me:) also adding beetroot is delicious - well, they’re all delicious! It definitely has become addictive! That sounds like a great combo to fend off colds and other ailments. I will remember the apple, lemon, ginger and mint combo for the hotter months! We certainly are what we eat, hence why I am trying to be healthier each day! Thank you for your comment, hope you are having a good week @sunsethunter!